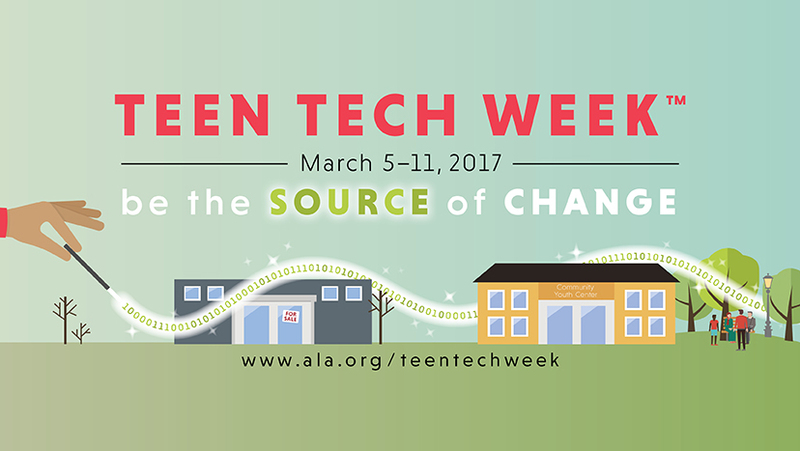 March 5th through the 11th is Teen Tech Week! Teen Tech Week is when libraries make the time to showcase all of the great digital resources and services that are available to help teens succeed in school and prepare for college and 21st century careers. On Friday, March 10, starting at 7:00 pm, we’ll have a party for teens where we’ll showcase all our new great gadgets that we’ve acquired for our Maker Programming. We’ll have tech demos, food, and lots of fun! This party is for teens ages 12 to 17. We hope to see you there!